The currency with the most important move. The correlation (formula of PEARSON) with the USDINDEX on the last 15 minutes. The PEARSON formula is important to know if the move is synchronized on few currencies. If the Pearson is displaying, it's not a noise. This formula is true only few hours by day. It compares 10 currencies which include USD (ex. EURUSD, GBPUSD, USDJPY, etc) and compares them with the first which must to be USDINDEX. You set the level of alert, for ex 0.95 is a very clear signal of correlation, you are not in the noise of the market and you can see it on right on of the chart of the currency! When you see it, you can check with your personal trading style before start a trade. 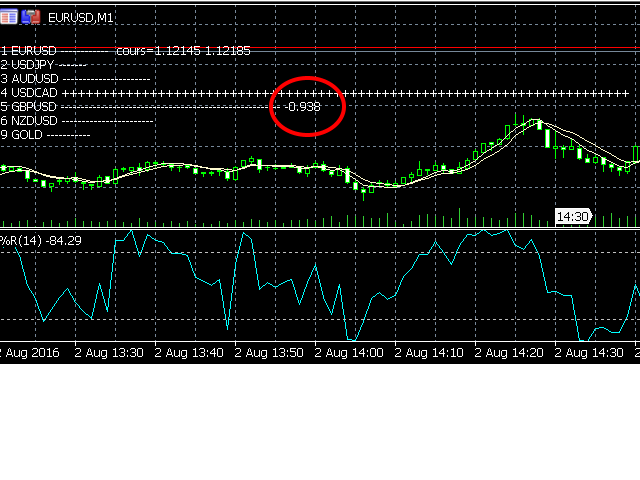 It is useful for scalpers who want to trade on M1 to M15. Karl Pearson ( 27 March 1857 – 27 April 1936 ), was a mathematician UK, his formula compare the data of two groups. 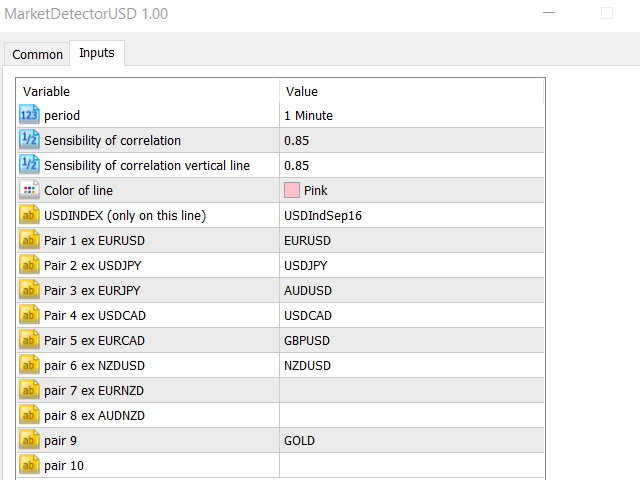 For example, USDINDEX and EURUSD - when the coefficient is very good (near 1 or -1) the two groups move in the same time. 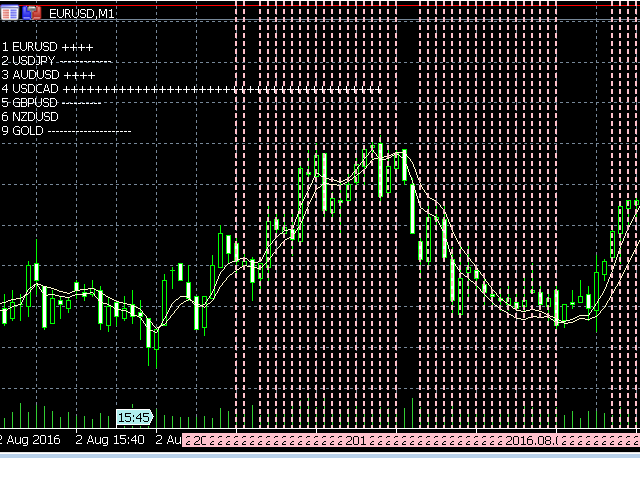 If its more 0.9 its a real and logic move (EURJPY and USDJPY). Some currencies have a negative value -0.9 - the two groups move at the same time but in opposite direction (USDINDEX and EURUSD). It's a very light software, it don't take resource of your pc. There is a alert system to detect a serious move. With Market Detector USD you will trade only on the best currency. You don't have to need to check all the news on all the market, its visual. When you see a number a the right of the bar THIS IS the currency without noise ! The number on the left display the size of the move in the actual move in the ACCELERATOR indicator.